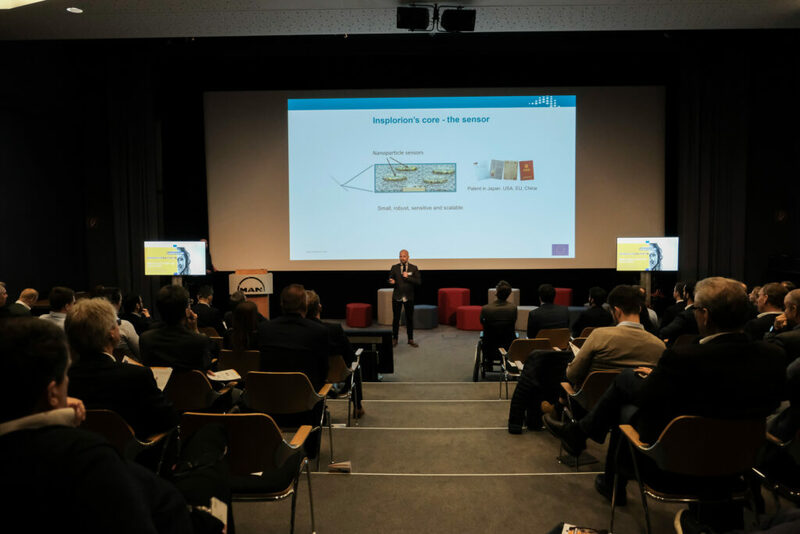 Insplorion was one of 18 companies selected by the Truck and Bus manufacturer MAN at their European Innovation Council Day last week. Companies has first to pass the selection of an external jury within the EU SME Instrument funding program where only 5-8% pass the bar and secondly be pass the selection process at the corporate. MAN are investing in electromobility within for instance electric delivery trucks for city deliveries such as the eTRUCK. Involving innovative technology companies to faster transform to electromobility is a strategy by MAN. Of the 18 startups was 5 within the electromobility field and it is of course encouraging that Insplorion is one of the selected.